A special sale of prestige, sporting and executive cars at BCA Nottingham on 21 January attracted over 300 buyers to bid in the auction hall, with a further 216 dealers bidding over the internet via BCA’s Live Online service. The sale – one of the first specialist Top Car sales of the year - included a tempting selection of vehicles from BMW Group, Bentley Financial Services, Alphabet GB and Black Horse. Cars on offer included Aston Martin, Bentley and Ferrari models as well as BMW, Lotus, Range Rover, Maserati, Mercedes, Audi and Porsche. In total, 245 cars sold and generated a turnover of £3.6 million, with 38 cars selling for in excess of £20,000. Nearly a quarter of the sale went to online bidders. Details of BCA’s Top Car Sale Programme can be found online at www.british-car-auctions.co.uk. 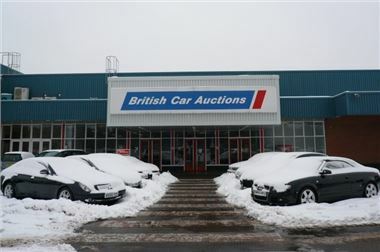 The next Top Car sale at BCA Nottingham takes place on Thursday 18th February and BCA is expecting an even wider choice of vehicles to go under the hammer. Meanwhile, Manheim reports that while average wholesale values rose by 4.5% (£312) to £7,187 in January compared with the previous month, it would appear that the cold snap may have influenced demand for 4x4s. Overall, average values in the Fleet sector rose by 5.8% (£360) to £6,609, Dealer part exchange values rose by 2.0% (£44) to £2,212 while Manufacturer stock increased by 3.5% (£422) to £12,438. However, the increased demand for used 4x4s caused by heavy snowfalls and freezing conditions in January forced values up even higher. 4x4s in the Fleet sector rose by 13.9% (£1,670 to £13,643), Dealer part exchange 4x4s rose by 21.9% (£838 to £4,668) and in the Manufacturer sector, 4x4s increased by 12.1% (£1,960 to £18,203). • Mini MPVs up 3.3% (£166) to £5,241. • Large Family up 5.4% (£94) to £1,830. • MPVs down 4.8% (£117) to £2,316. • Executive vehicles up 4.8% (£893) to £19,367. • Meanwhile values of Superminis fell by 8.0% (£412 to £4,715).